Female terrorist attempts stabbing attack near Jewish community in Samaria. Terrorist arrested, no casualties. 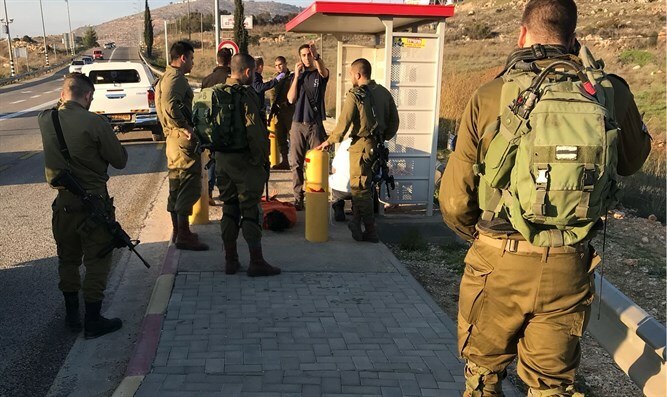 An Israeli civilian identified a suspicious Palestinian Authority woman this afternoon at the Shilo Junction in Samaria. After he shouted at her, she threw away a knife she held in her hand. An IDF force arrested the suspect, after which a bottle of gasoline was also found on her person. The woman is being interrogated at the scene. There are no Israeli casualties from the incident.